Sandra graduated from the University of Queensland in 1983 and worked in hospitals in Newcastle and Brisbane, and then private practices in Redcliffe and Capalaba before establishing Stafford Physiotherapy Centre in 1988.
participated, as one of five leading clinical physiotherapists, in a two-year clinical trial in using Cognitive Behavioral Therapy (Pain Coping Skills) for osteoarthritis of the knee, with the University of Queensland and University of Melbourne. The trial compared Cognitive Behavioral Therapy and exercise and was published in 2015 and presented at the APA conference in 2016. 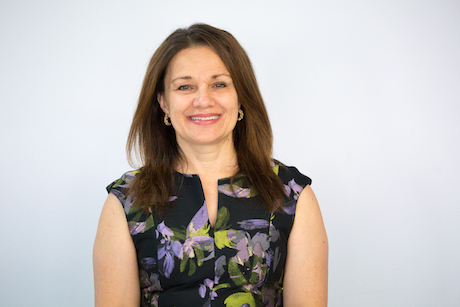 Sandra is a member of the Australian Physiotherapy Association, Sports Physiotherapy Australia, Musculoskeletal Therapy Australia, Sports Medicine Australia Acupuncture, Dry Needling Special Group, and Continence and Women’s Health Special Group. Sandra is passionate about treatment and prevention of headaches. She has studied under international headache researcher and physiotherapist, Professor Gwen Jull, and has also completed Levels 1 and 2 of the Watson Headache® Approach. Polestar Pilates in the Comprehensive Rehabilitation Series in 2015 (Polestar Pilates provides the most comprehensive Pilates rehabilitation and fitness curriculum and certification in the world today).